Delivering the efficiency of chat with the freedom of text messaging. 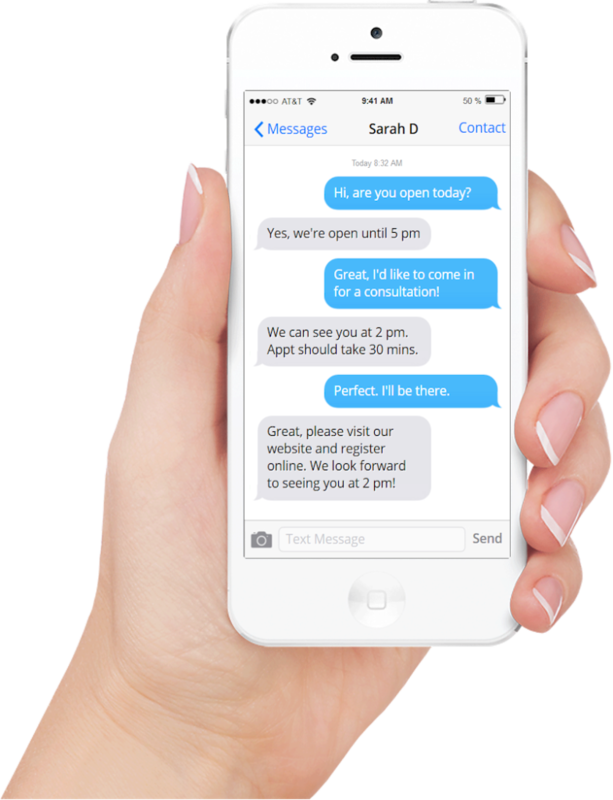 Let’s face it, texting is fast becoming the preferred way that customers and patients want to communicate with your business. Answertext offers you texting capabilities that are affordable, robust and secure. The click-through rate for SMS is 4X higher than email, highlighting the tremendous power of text messaging. Respond to customer text messages from your phone or computer. No special apps or files to install. Get setup in minutes. Transfer conversations to team members with one click. Request a 15 minute demo of Answertext and how it can help your business convert more leads.